There's one day a year when the small city with a big heart becomes the focal point of the entire region. That's the third Saturday in August, when the Milford Oyster Festival is traditionally held. 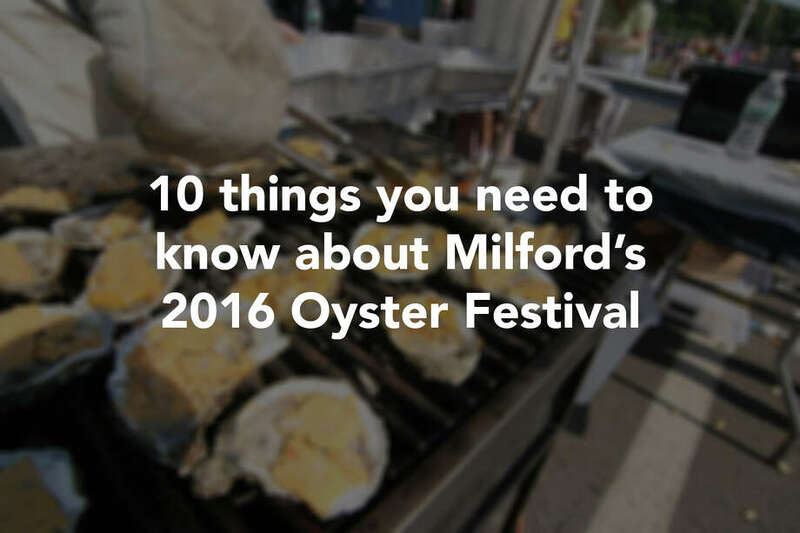 The Milford Oyster Festival – or "Oysterfest," as locals know it – is the largest single-day festival in the region. Voted the fifth best oyster festival nationwide by Fox News, the event drew 50,000 visitors to the heart of downtown Milford last year – and there are changes in store for the 2016 event that are sure to draw even more crowds. Tucker Band, known for American Southern rock and country rock. "We want people to come early and enjoy the whole day," said Jay Pinto, president of the Milford Oyster Festival committee. He explained that in the past, crowds would show up late in the afternoon to catch the headliner, leaving little time to explore the rest of the festival, which ends at 6 p.m. This year, the top-tier musical entertainment will start earlier, and Pinto hopes this will inspire visitors to make a day out of Oysterfest. There is certainly a lot to explore. Entertainment news aside, the Milford Oyster Festival committee decided it was time to implement another change to give the people what they've been asking for. No longer will Oysterfest feature only mass-produced beers like Miller Lite and Budweiser – this year's event will showcase craft beer with a new craft beer area in Lisman Landing. "This is something we've been wanting to do, and figured this was the year to do it," Pinto said. The craft beer area will feature about 10 choices from three to four different vendors. It will be set up in a prime location – right near the oysters. Eagles tribute band Eaglemania and other bands will play throughout the day as visitors sip and shuck. Pinto said he and the committee members are looking forward to the additions to the 42nd annual Oyster Festival, and hope the public feels the same. "It's always a fun time of year, because we've been planning since the end of the last event," Pinto said. "We're excited to get things off the ground." The classic Oysterfest details that have been drawing throngs people to downtown Milford for over four decades will remain in tact. Main Street USA, a collection of approximately 200 local vendors and craftspeople, will be set up on the Milford Green for shoppers to peruse. Oysterfest also includes the festival car show, the Armory Square Big Toy exhibition (think rock wall climbing and extreme bungee jumping), schooner cruises, the children's stage at Fowler Field, kayak, canoe and paddleboard races, and tens of thousands of the festival's namesake: oysters. The festival's oysters are provided by the East Coast Shellfish Association. The 2016 event is expected to shell out an impressive 35,000 oysters in 19 varieties. Those who wish to experience oysters beyond simply eating them can participate in shucking contests throughout the day, as well as the oyster eating invitational. Landlubbers and those who don't have a taste of oysters do not have to worry about going hungry. Plenty of food options are available in Lisman Landing and along the Milford Green, including hot dogs, burgers, lobster rolls, fried seafood, chicken nuggets, crab cakes, sausage and peppers, gyros, French fries, and more. While the festival itself is contained to a single Saturday, the celebration actually begins on Friday evening with Oyster Eve, a kick-off tradition. Visitors can sail all evening on schooner cruises, shop the downtown Milford sidewalk sales, and get an early start on the Oyster Festival's carnival rides. There will also be food, oysters, wine and beer for purchase. Eaglemania will headline Oyster Eve on the stage at Lisman Landing. The plans are in motion for a memorable 2016 Oysterfest, but fans need not wait until August to get a taste of what's to come. The Milford Oyster Festival is sponsoring the Friday night concert series "Summer Nights by Harbor Lights," bringing the popular annual event back to the Milford area for the 2016 season. The series features a mix of musical genres from some of the area's most popular live bands. The free weekly concerts, held at the Fowler Field Rotary in downtown Milford, kick off on Friday, July 15, at 7 p.m. The series runs through Friday, Aug. 12. The 42nd annual Milford Oyster Festival, sponsored by Key Hyundai of Milford, will be held rain or shine on Saturday, Aug. 20, from 10 a.m. to 6 p.m. Oyster Eve, a pre-festival tradition, will take place on Friday, Aug. 19, from 6 to 10 p.m. For more information, visit www.milfordoysterfestival.org.